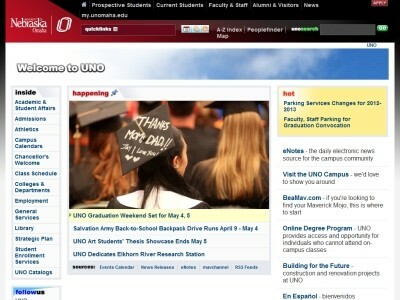 Review: The University of Nebraska Omaha is the Omaha campus of the University of Nebraska system. After its foundation as Omaha University in 1908, the institution became the public Municipal University of Omaha in 1931. It assumed its current name in 1968 following a merger into the University of Nebraska. The institution has a strong tradition of serving commuter students from within Omaha, but in recent years has developed student housing to better serve students from Nebraska, the United States, and the world for whom the commute is not convenient. On October 8, 2008, the University of Nebraska at Omaha celebrated its 100th year of existence. Location & access map for "University of Nebraska, Omaha"